We arrived back in Yangon last night at 6 pm and it was 36 degrees. We have had an exhausting trip but God has been doing amazing things. We have had plans to meet people, and then we meet someone else by "chance" who offer us so much incredible help, facilities, connections There are too many things to write here and many things not confirmed also, but we never cease to be amazed at what God is doing. 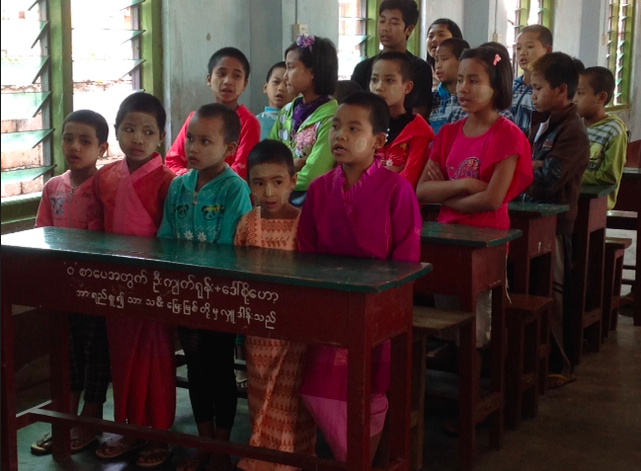 While in Lashio, we went to the orphanage and the children sang for us. These little ones in the picture are just some of them. 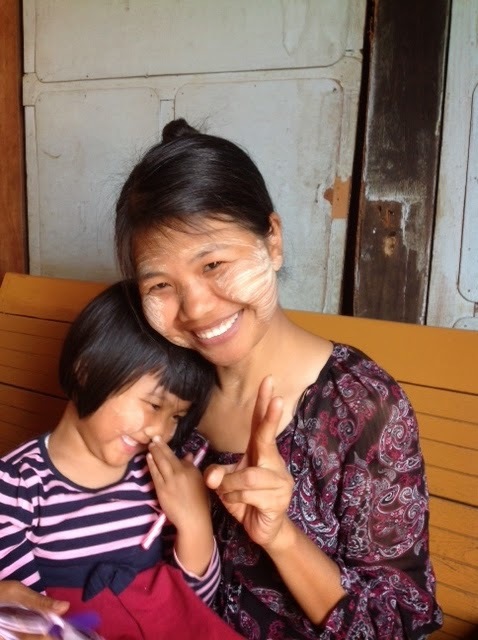 Can you see the white paste they all put on their faces; also the lady and her little girl. It is a paste made from a tree and is used for beauty and sunscreen. I always want to run around with a washer and wipe it off. We also had the privilege of going to "Mary's house" to visit these ladies who are much older than our women in Kathmandu. Some say they are about 50 or about 40, but they are not sure. Some wonderful stories of redemption and hope. There is a little abandoned boy there also that the lady has taken in, so he has a bright future also. We met a man in Yangon who has a wife and two children, and he has taken in 16 other children in a two room house. This is an amazing and sacrificial choice to make. 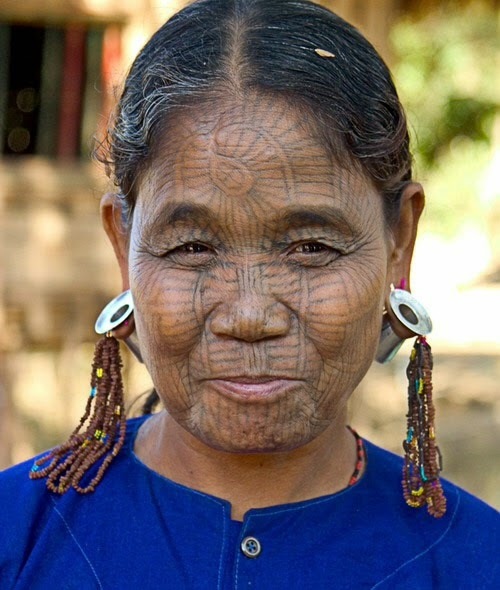 I also like this photo of the tattooed lady. It is something a certain people group practice. 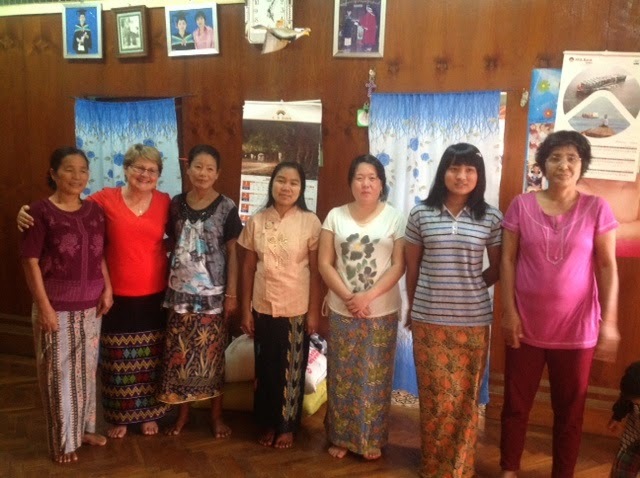 Grahame has interviews with some candidates for Indonesia this morning and we are going to dinner with a woman tonight who will be part of our new team here. I am looking forward to being in Kathmandu into my old familiar surroundings, to see my lovely girls and women, and have somewhere to hang up my clothes. I am so tired of living out of a suitcase and being in an aeroplane. The team in Kathmandu have been doing a great job, with all things in good hands.